High quality jewelry mens or womens wedding band engagement ring. 100% genuine solid 14k gold. Great item for that special occasion. 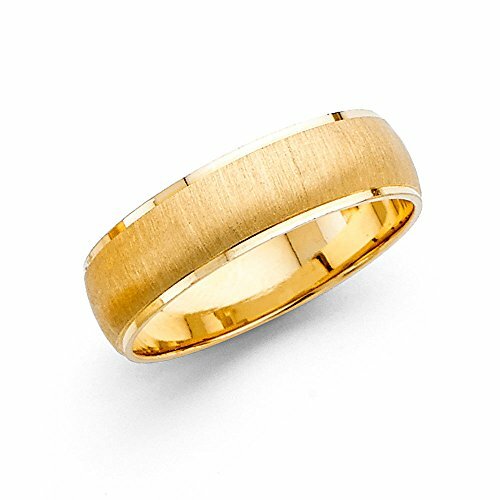 Solid 14k Yellow Gold Ring Wedding Band Dome Style Satin Brushed Finish Polished Style 6 mm, Size 8. If you have any questions about this product by GemApex, contact us by completing and submitting the form below. If you are looking for a specif part number, please include it with your message.